Can I suggest and recommend Robert Jackson. He did a great job fitting my Oyster self seeking dish and sky digibox. Hi all, Friend of ours had sat fitted at Shepton Mallet by the son & I was extremely impressed with his professionalism. Unfortunately at one point he realised he needed to remove a high level oven for access & was so apologetic to my friends as he stated he could not proceed with the installation as he was not qualified to remove & refit gas appliances. (Nice change from cowboys just getting on with it) Fortunately my friends came straight to me & I did the necessary for him to continue. He finished at half past ten at night after full test & demo. As I say very impressed with the service & professional attitude. I've only got good things to say about Robert. Sorted and installed my Oyster. First class!!! Robert took our dish off our old motorhome and put it on our new van at the dealer, all was ok when Robert left, on picking up our new motorhome from Glossop caravan's the 12volt did not work, Glossop put it down to the sat dish, having spent 5hrs trying to repair it on ringing Robert he assured me it was not the sat dish fitting, he came from Wakefield to Nottingham to find a fuse blown, in less than 2mins he changed the fuse and all was well, I asked the cost and it was f.o.c. very very good service from a great fitter/chap. I recently had an Oyster system refitted to my new motorhome by a supplier near Newark (The one who had done the original installation on 1st van) However there were some issues that weren't completed properly and I kept getting the now common fault "no satellite signal recognised" and to change channels I now had to open the wardrobe door 'cos the magic eye wasn't working even though this was not faulty! So, I contacted Robert on Monday this week, apologised that I was using him, but knew he had a good reputation, would he please help me? Result: Spent 2 hours with me on Tuesday. Fixed all problems, sorted out software issues, magic eye problem AND now get all programmes except Sky Sports and Sky Movies - What a nice man - and value for money service!! In these days of "slagging off the industry" how refreshing it is to be able to offer sincere praise for service that is second to none in my view. 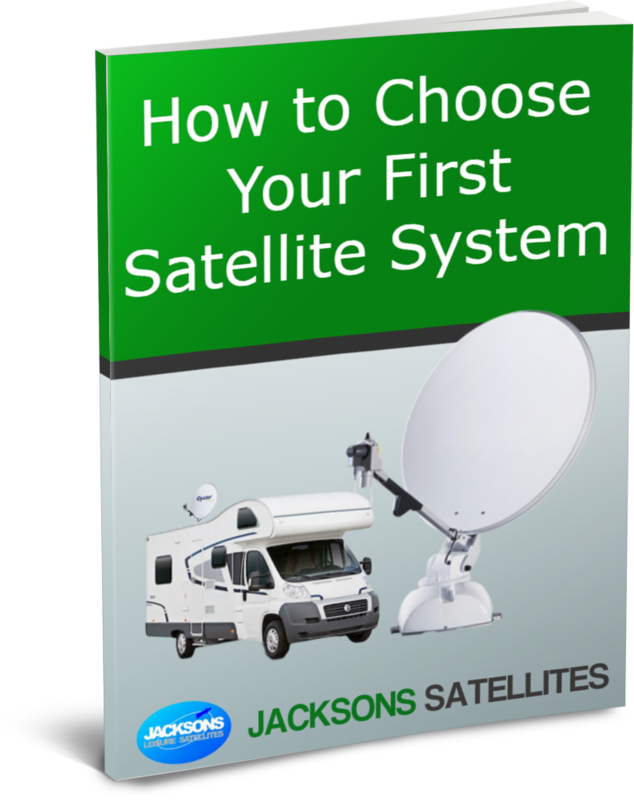 Earlier this year at the Stratford show I purchased a fully automated Oyster dish and Pace box from ROBERT JACKSON Satellite systems. The reason I chose this firm above all others was because three of my colleagues had bought from him previously and said how good his after sales service was and to me that is very important. Well they say the proof of the pudding is in the eating. Following my return home after the show I noticed a small crack in the paintwork on the dish and so I rang Mr. Jackson and told him of the fault. As I was going to the Pickering show he promised to have a look at the dish. Well this he did and promptly agreed to replace the dish without question. Subsequently a fault appeared on the sky box and as I was at the Malvern show last weekend he once again replaced it without hesitation. His reputation has been founded on after sales service and there is no doubt he is not lacking in professionalism. In my view he should change his name to ACTION JACKSON for that is what I and my colleagues have had. I spent the whole of my life in the customer service industry and I know just how important customer satisfaction is and to this end he has 10/10. Give him a call and see for yourself just how good he is.